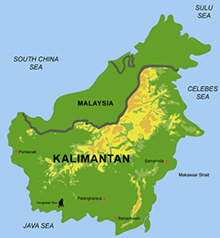 With a high-resolution Airborne Laser Scanner (ALS) the topography of peatlands was measured in Aug. 2007 by a helicopter to achieve a 3-dimensional Digital Elevation Model (DEM) for the Central Kalimantan Peatland Project (CKPP). The flight altitude was approx. 500m above ground. Approx. 100,000 Laser pulses / second were sending to the ground. With the received ALS-data DEMs were processed. DEMs are divided into two types of groups. 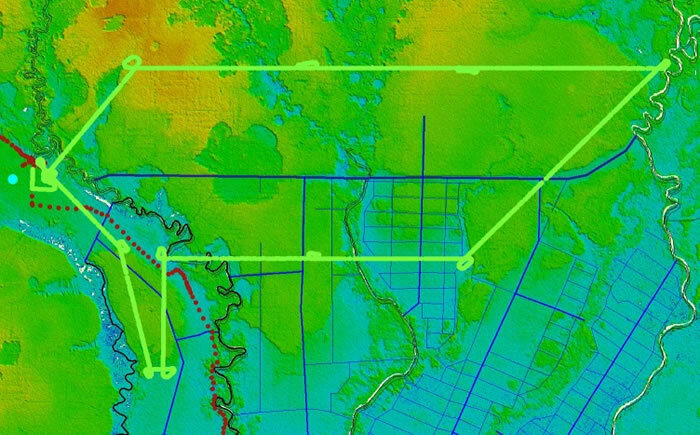 The Digital Surface Model (DSM) gathers information by Laser Scanner with trees, bridges and house and the Digital Terrain Model (DTM) is filtered using the DSM and shows the topography of landscape without trees, bridges, houses etc. 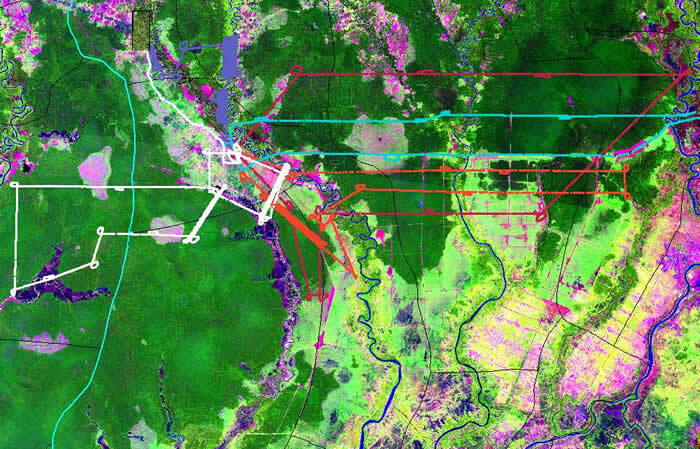 With this type of information hydrology models of peatland and biomass of Peat Swamp Forest (PSF) have been analysed using this modern technology with an elevation resolution of +/-15cm e.g. in the Ex-Mega Rice Project (Ex-MRP) area of Blocks A, B, C, E and additionally in the Sebangau National Park.